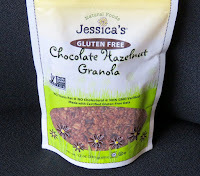 Welcome to Day #8 of Chocolate and Starches Theme Week—a good day for a Granola fest. It was gray, rainy and sad-looking outside. Time for some upbeat music and bowlfuls of fun. Today, we're celebrating three gluten-free granolas and one chocolate rice protein beverage. 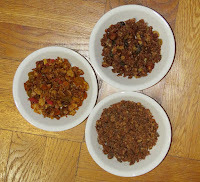 These three granolas each had their own flavor profile. Oats and rice provided our "starches" today. 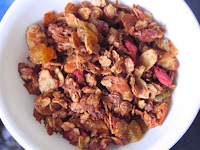 The Granola from Gracie Jones Bake Shop (Palo Alto, CA) was fruit-forward and beautiful to look at (with golden raisins and red goji berries). It also contained diced/snipped pieces of other fruits (that looked like pears and peaches). It did not contain cacao from what I could tell, but it was too pretty to leave out of this crunchy granola sampler trio. 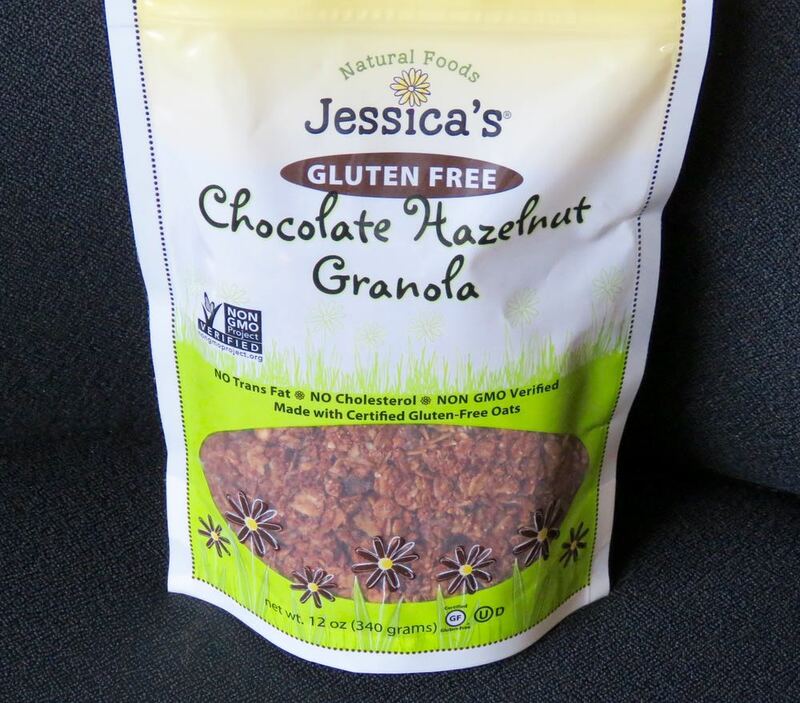 Chocolate Hazelnut Granola from Jessica's Natural Foods, LLC (Birmingham, MI) was naturally nutty with rich and authentic hazelnut and chocolate flavors. (You could see and taste whole hazelnuts.) Chocolate chips added extra chocolate flavor; and pumpkin seeds gave it some additional soft crunch and pleasant seed flavor. 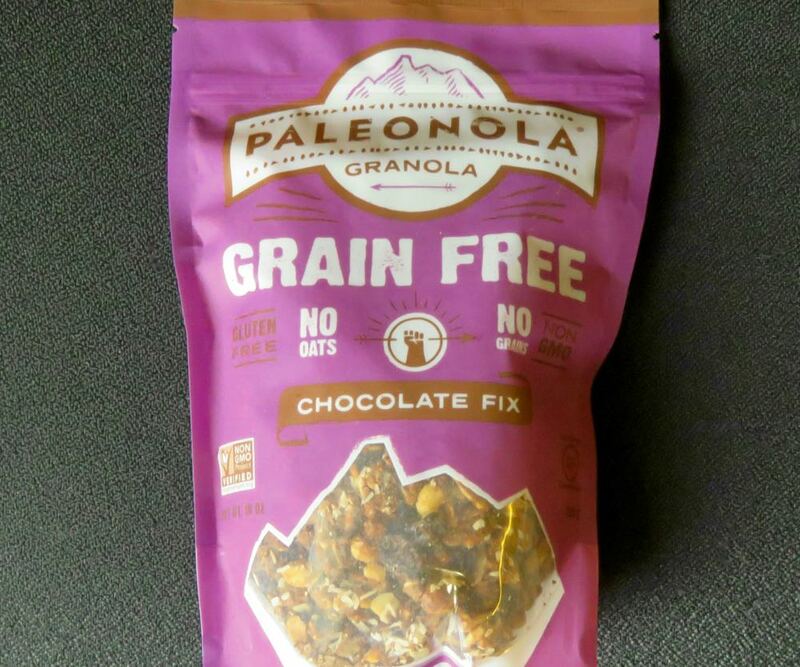 And, the Chocolate Fix Granola from Paleonola (Pawtucket, RI) was made with a variety of nuts (almonds, pecans, walnuts, hazelnuts), seeds (pumpkin, sunflower, flax) and fruits (cranberries, apple juice). It was grain, soy and dairy free (made without oats or grains). 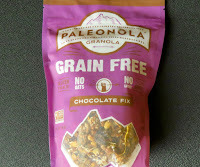 And this honey and fruit-sweetened granola was the most chocolate-forward of the three granolas. 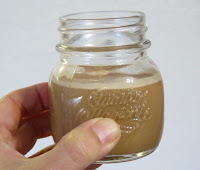 Made with chocolate chips and a chocolate cookie like flavor with a faint coconut note. We also tried some Raw, Organic, Vegan and Gluten-Free Chocolate Rice Protein Powder from Sunfood Super Foods (El Cajon, CA) that we mixed with water, to create a chocolate rice milk beverage to accompany these breakfast granolas. It had an authentic rice flavor with a subtle and balanced hint of cacao and was high in protein (17 grams of protein per serving). However, don't expect this dairy/whey-free and soy-free powder to taste like the dairy milk you may be used to pouring on cereal.